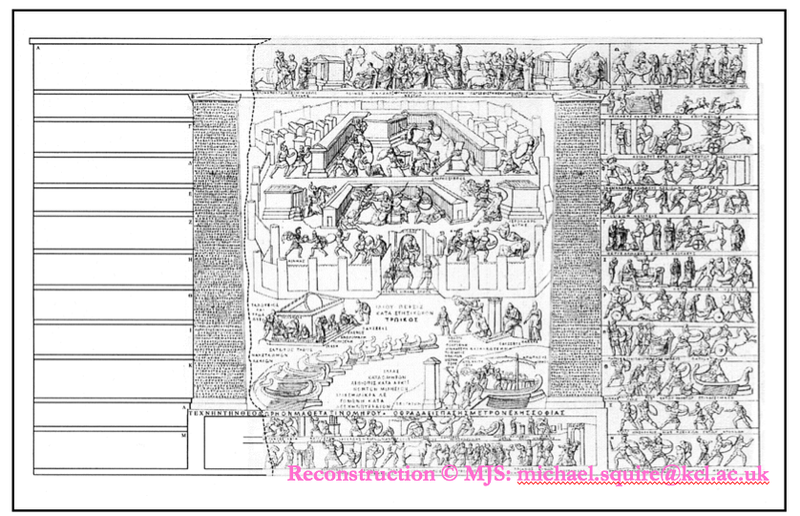 Last week we posted the first half of an interview with Dr Michael Squire from King’s College London, about his work on Philostratus’ Imagines. Here in Part 2 he tells us about a fascinating group of objects called the Tabulae Iliacae – miniature marble tablets dating to between the end of the first century BC and the early first century AD, which represent scenes from the Homeric epic cycle and other mythological and historical subjects. Mike has recently published a book about the tablets called The Iliad in a Nutshell. 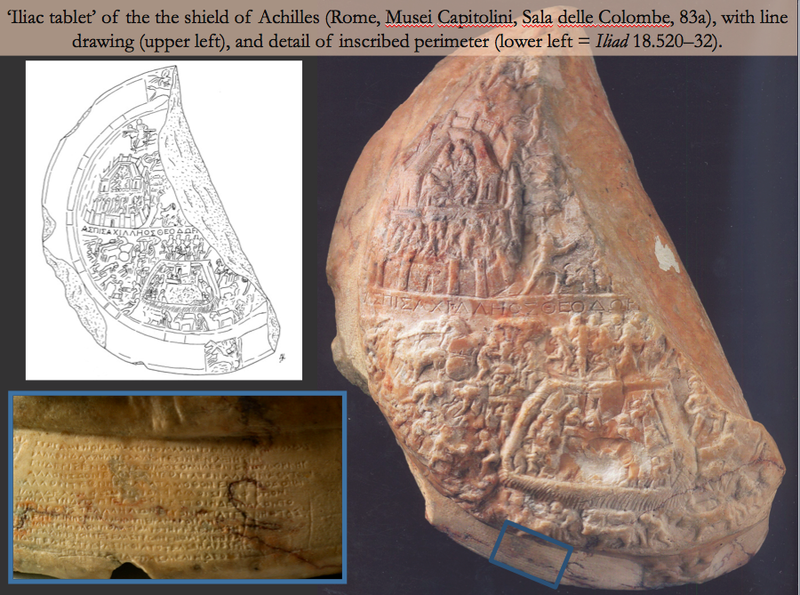 In our film, he talks particularly about the two examples that are depicted on this page – the so-called ‘Tabula Capitolina’ (above) and the ‘Achillean shield’ (below). Click on the screenshot below or follow this link to watch the interview!